Hello & Welcome to Keely's Official Website. 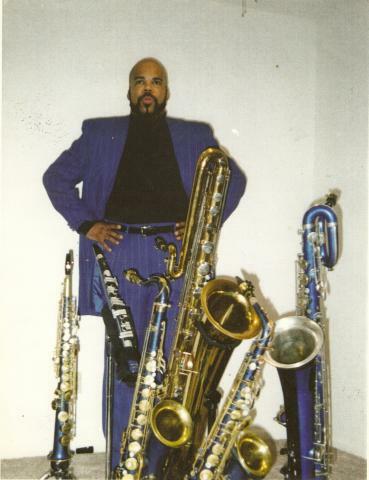 Keely is a unique and exciting saxophonist who displays exceptional skill and variety on 7 horns (Soprano, Alto, Tenor, Baritone, Bass, C melody, and Midi Sax). This is rare yet exquisite and not common among saxophonist of today’s entertainment world. Take note that Keely is available to perform as a band or as a solo act for occasions where affordable yet classy entertainment is required. Keely's repertoire mixture of styles range from R&B,Funk,HipHop,Fusion,Blues and,Jazz. This sax player is a sure crowd pleaser which is a definite appeal. Keely's success and reputation comes from a combination of integrity, hard work, creativity and natural talent. This appeal has enabled him through the years to do session work, as well as opening shows for artists likes Peter White, Richard Elliott, Paul Winters ,Warren Hill, Confunkshun ,The Gap Band, Zapp , Johnny Taylor, James Brown, Alex Bugnon, and many more. Keely's energetic schedule includes the recording and release of his CDs, DVDs, writing new music and the constant study on subjects of the saxophone,attenting Clinics, and performing for Events, and concert Openings.